Envirotech has the years of experience to ensure proper handling for a broad range of environmental issues. Our clients receive comprehensive results with a full circle of solutions. Envirotech, Inc. is proud to be handling the demolition of the former Daily Time’s building. Check out this article by the Daily Times. At Envirotech, we are proud to offer the best in environmental remediation. 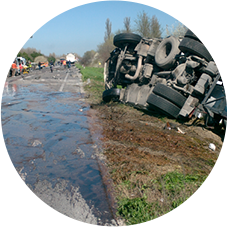 Envirotech excels in the evaluation and mitigation of a wide range of environmental contamination from both long-term exposure and emergency situations. Read about our latest projects and discover what others are saying about our work. 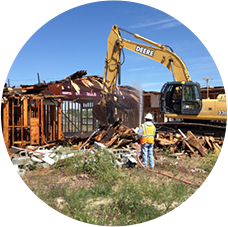 Our field clean up crews can handle specialty trucking, demolition and heavy construction. Our extensive list of heavy machinery and equipment allow us to help clients with a wide variety of field work. The hazardous materials we deal with include asbestos, mercury, mold, lead, petroleum products, water, methane and many others.